In addition to looking at a used car’s physical and mechanical condition, you’re also going to want to check the mileage. While most would suggest that you should shy away from a used car that has over 100,000 miles, that isn’t necessarily a hard and fast rule. If the vehicle has been taken care of and is well maintained it could still be a very good buy. Some important factors for Roseville area drivers to consider when shopping for a pre-owned vehicle include condition, location, and usage. Learn more in this guide from Kareem Auto Sales Inc.
Usage – A car driven 75,000 miles in stop and go traffic will wear down sooner than one that has racked up 75,000 miles on the open highway. Make sure that you get the previous owner’s driving history before you buy. Location – Vehicles that have been driven in a locale that has a dry, warm climate, undergo less stress than vehicles from areas that have a cold, wet climate. Condition – Get a certified mechanic to inspect the vehicle to determine if there are any issues, such as mechanical problems or rust, that will need to be dealt with. Figure this cost into your budget. Maintenance – Check the maintenance history of the vehicle to ensure that it has been kept up to date on routine services like oil changes. An irregular service history can be a sign of expensive problems in the future. A car that hasn’t been driven regularly will often have higher repair costs. Mechanical issues, or problems with rubber seals and gaskets, can develop if a car isn’t driven on a regular basis. A vehicle with a well-documented maintenance history is preferable to one that has been neglected. Low mileage vehicles often come with a higher price tag. A Certified Pre-Owned model is worth considering if your goal is to purchase a like-new, low-mileage vehicle. Learn more about the difference between used and certified pre-owned with us today! There’s more to consider than just the mileage when shopping for a used car. Continue your research by finding out how often to replace a car battery. 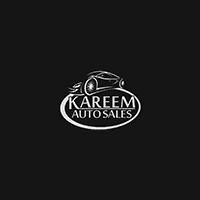 At Kareem Auto Sales Inc we have a wide selection of high-quality used vehicles for you to choose from. Check out our used vehicle specials to find some of the best deals available in the Elk Grove area, and please contact us if you have any questions. How Much Can the Honda Ridgeline Tow? 0 comment(s) so far on What Is Good Mileage On A Used Car?